The National Citizen Service (NCS) is a UK Government voluntary personal and social development programme for 15–17 year olds in England and Northern Ireland. The NCS works with partner businesses to deliver their programmes across the UK. Partners like Personal Best Education who are Hampshire’s largest provider with over 2,000 students per year. 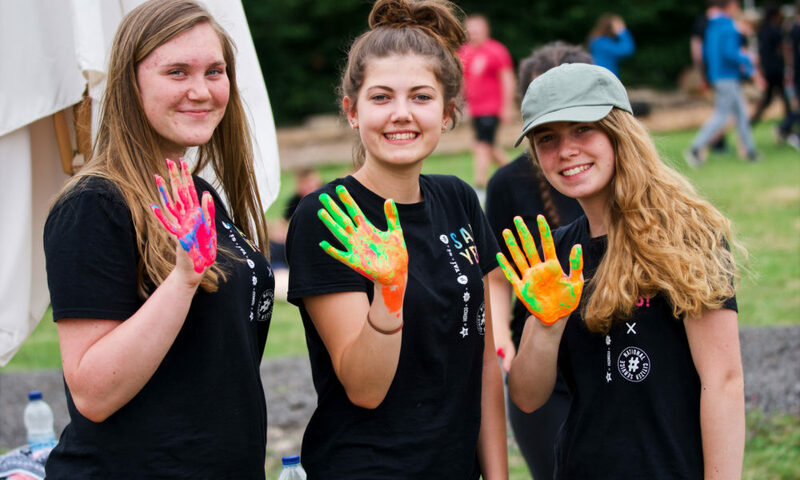 Covering all four phases of the NCS programme, we followed along on the journey of the young people as they experienced NCS for themselves. We aimed to capture the fun times, the challenges and the pay off of all their hard work. Including the marketing material, we produced content for the end of programme graduation event. Celebrating the moments across the entire programme and sharing them with the clients, young people and their parents. We made sure all that content was seen that day. There’s no point saving all the media and content on a drive to gather dust somewhere. Throughout the programme we put that content to good use across Instagram (incl. Stories), Facebook, and Twitter. Engaging with the brand’s immediate and extended audience in the moment. Looking ahead, the client wanted us to create content to share with young people looking to join NCS in the following year. We focussed our attentions on passion and experience, asking current NCS participants to tell us about their favourite moments, challenges overcome etc. What we heard were great stories about the best summer they’d ever had! An important piece of our process is ensuring all our content is on brand and in line with current marketing practices. Representing such an impassioned brand as the National Citizen Service means paying attention to how the brand is applied in practice. We make sure that doesn’t get away from us at any stage in the creative process. What better way to promote the programme in schools than showing future prospective young people exactly what they’ll be doing on NCS. More importantly we added testimonial and stories from young people on the programme, so they could share their genuine reactions. The NCS brand is such a vibrant and colourful brand that we wanted to reflect that in our content. Planning, filming and editing something short but quickly shareable has a great impact in media rich environments. Audiences prefer to interact with the NCS brand in different ways across different platforms. So we ensue we’re placing the right content where the audience is. Sharing daily stories with the brand’s audience on Instagram. Adding another layer of insight into the NCS programme over a 24hr period. From the 20th June 2017, engagement rates with existing and new facebook followers grew as a reaction to the content we were sharing via the channel and on other platforms. That engagement carried on well beyond the project end on the 12th August as new audiences continued to discover the brand and content. Looking to create something similar for your brand?